Pains me to have to thin the herd a bit, but I have listed a handful of my bikes on a local FB cycling marketplace. The frame and fork $600-800, Full bike $1600-2000. The sell it now price would probably be around a $1000. I think $650 for frame and fork. I think you're better off parting out and would have a hard time getting more than maybe $1100 complete bike since it's kind of mis-matched mid level (but good) parts. De Rosa Pro should fetch more, but seems like nobody is buying these now (or everybody is selling). 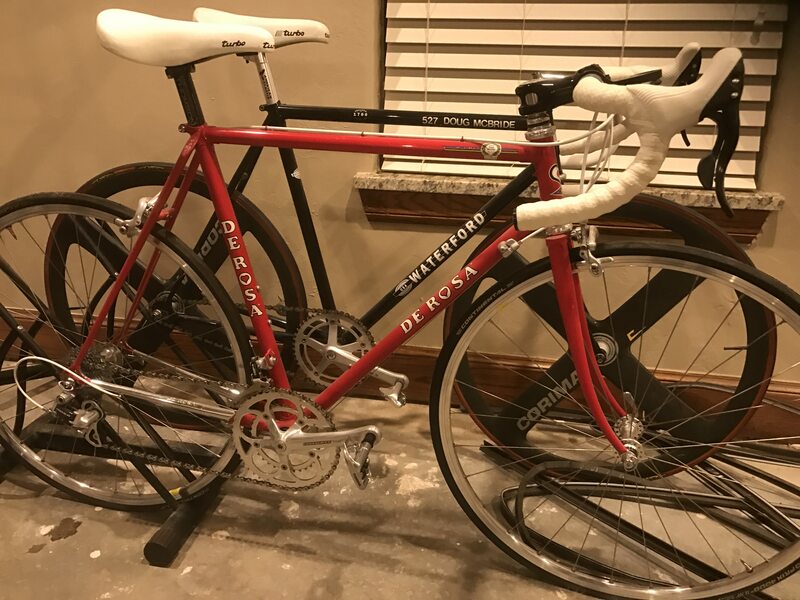 2-3 years ago, $800 easy for a De Rosa frame/fork. I'm selling a Tommasini frame/fork right now that I thought would fly at $550 but not a whiff of interest. Anyway, I hope you're selling because you want to and not because you have to. Top dollars only seem to go to all original with date stamped group parts in line or just a nice original frame and fork for someone else to build up using their stash. Retro mods are cool and easier to ride, but those looking for vintage steeds most likely want it all vintage. I do see it appealing to a regular group rider looking for something different though. It's more than good enough to hold your ground . Beautiful and functional. Never lose your sense of humor, ability to change and want to learn. Yes. I built it to be my daily driver and it served well in this capacity for months. I have a new Tarmac and while this machine is a bit heavier, it gives up very little in performance to it with me on board. Are you kidding me? Where can I buy this and ship it to Dublin? What size is it? Right here. 59 cm. Always happy to sell to an Irishman! Oh that one is yours? I saw it, but even w/a 59 cm seat tube, that 62 c-t looks massive. I'd push to a 59cm - but yours is on the big end of "59cm" for me. I'm also quite happy on a 57cm, so my size is really 57-58-59... otherwise I'd have been shaking down my wallet for this. 58.5cm - that's a long top tube. 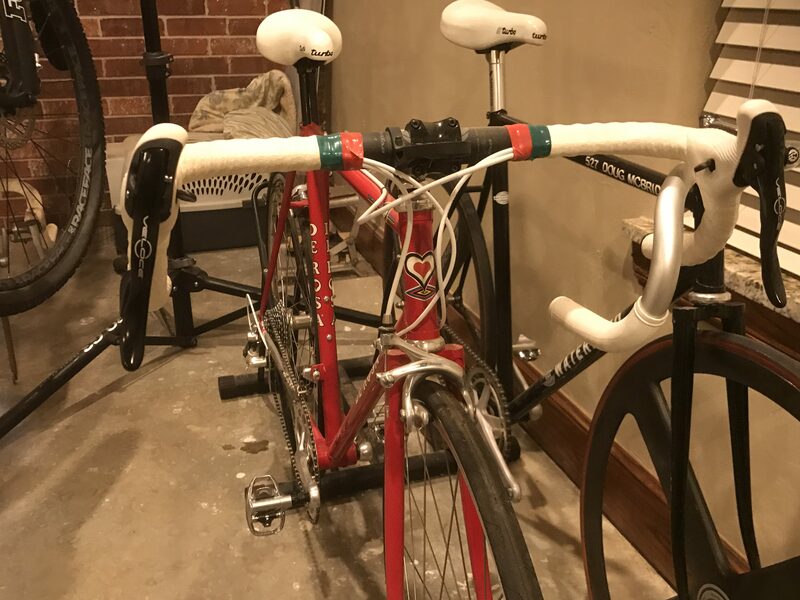 I'm only starting to pay more attention to top tube measure, and interestingly, across all my bikes regardless of what frame size they say they are, it's usually about 56.5cm. Last edited by ridelikeaturtle; 03-15-19 at 06:06 PM.